Confidence is a crucial element in peak performance. Confidence is the foundation in which all other mental skills build upon. 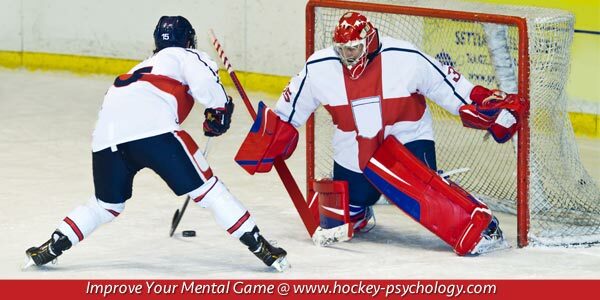 If you are not confident, you are prone to other mental game problems including frustration about mistakes and playing too cautiously. All athletes understand the importance of high confidence. So why do so many athletes struggle with confidence problems? 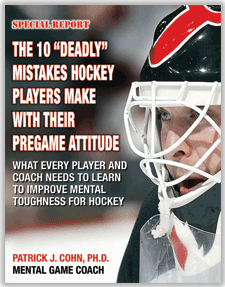 Most often, athletes know they need high confidence, but have no clue how to get it. If you were to learn and implement a few confidence-building strategies, you could vastly improve your performance and consistency. 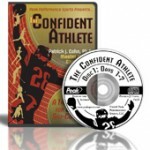 Let’s start your confidence journey by seeing how professional athletes go about forging their confidence. Chad Johnson is a goalie for the Buffalo Sabres whose confidence has soared recently. Johnson has taken over goal tending duties after Robin Lehner, the preseason anointed starter, was injured in the first game of the season. Johnson has played in 24 games during the 2015-16 season with a 2.41 Goals Against Average, .917 Save Percentage and one shutout. Johnson’s confidence stems from his focus on himself. Johnson is focused on competing from his strengths and controlling the variables he can control. Johnson stated that the key to his confidence is preparation and playing to his strengths. Johnson studies the tendencies of his opponents but, other than that, he focuses on his game. When asked if he was concerned about the return of former starter Robin Lehner, Johnson commented that his ultimate competition is with himself as he looks to improve each day. You want to focus on competing for yourself and not others. Too often I see athletes who worry too much about teammates and coaches think. Create a Strength Portfolio – Your strength portfolio is a list of your assets as an athlete. Make three lists: one of your strengths as an athlete, one of your athletic achievements and one of the athletic characteristics that you admire about yourself. Try to think of at least five things in each category. 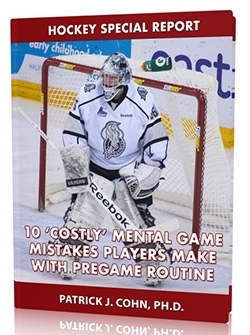 Prior to every practice and game, mentally review your list. As with any portfolio, it is important to invest in, or focus on, the right things to further grow those assets.